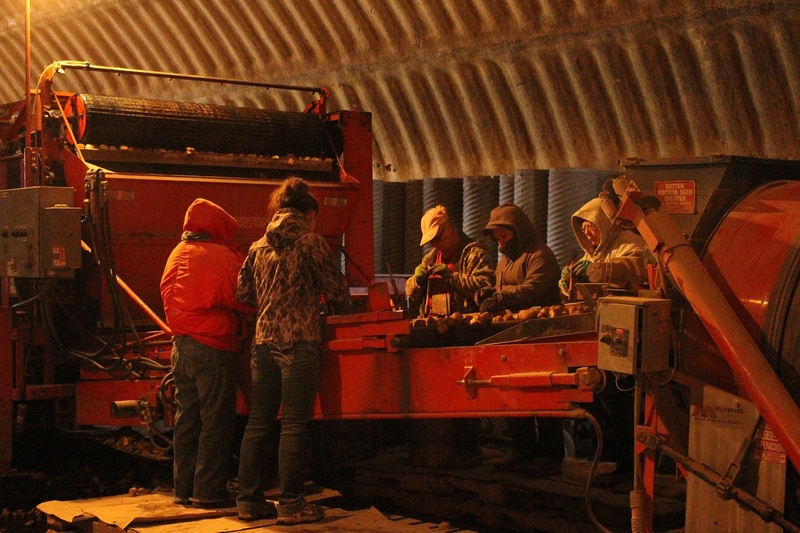 It’s Gold Dust Potato Processors’ 16th Annual Open House Field Day! Every August for the last 16 years we have opened our doors and our fields to guests from not only all over the United States, but as with this year, all over the world. While things were a bit different this year from last, some things didn’t change – gratitude for our customers and partners for helping Gold Dust and Walker Brothers become the outstanding businesses they are. On August 16th, the busy day started at 7:30 in the morning with a hearty breakfast at Mike and Wanda’s restaurant in Tulelake, California (just over the border from Gold Dust’s Malin-area campus). While our guests sipped coffee and enjoyed eggs, bacon and sausage, biscuits and gravy, and french toast, CEO Bill Walker welcomed the guests and introduced Lexi Crawford, who organized the day’s events. After reminding everyone about Gold Dust’s support of the Make-A-Wish Foundation, Lexi introduced some of the folks who had traveled from far – Hyosang Park from Nong Shim (South Korea), Sunny Kang from IREH (South Korea), and Rob van Zadelhoff of RaboBank (the Netherlands via St. Louis, MO) as well as other important guests from much closer, such as Paul Sproule from North Dakota. Following the introductions, Lexi then welcomed Rob van Zadelhoff to the front of the room. Mr. van Zadelhoff, CEO and President of RaboBank Agrifinance in St. Louis. With his roots in the Netherlands, Mr. van Zadelhoff talked to our audience about Brexit, the European markets and their effects on the States as well as the strength of the American agricultural market. After he spoke, Tricia Hill introduced Dan Keppen from the Family Farm Alliance. Mr. Keppen has been involved in Klamath Basin water issues since 2001, and he updated the crowd with information on what’s happening on Capitol Hill as well as issues more specific to our locale. Dan Keppen of Family Farm Alliance spoke about the issues on Capitol Hill that will affect Oregon and California agriculture. 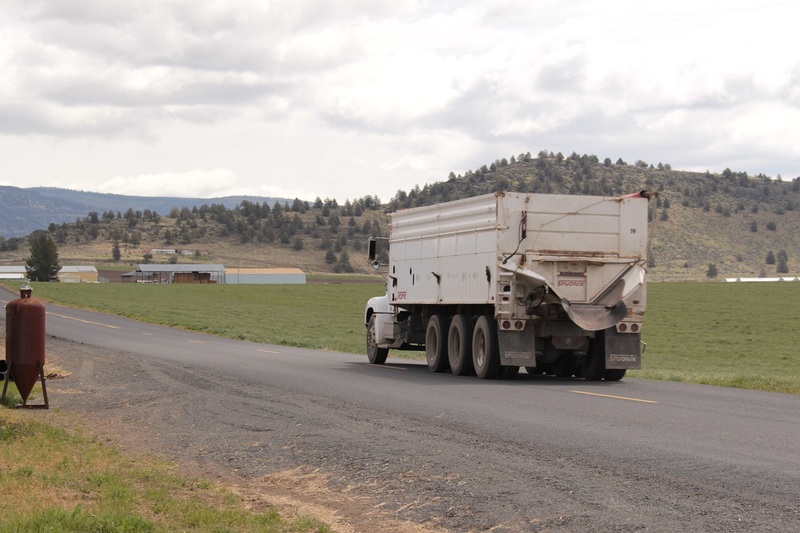 After breakfast, everyone jumped in their rigs and headed to the fields. 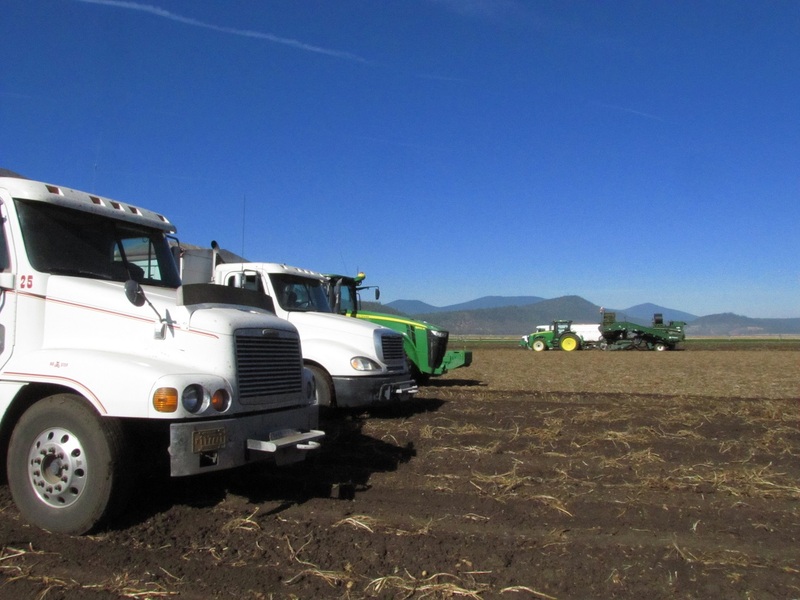 Instead of focusing solely on Walker Brothers’ fields, this year the field portion of the Open House Field Day included visits to two chipping potato fields just outside of Tulelake farmed by MD Huffman Farms and another farmed by the Staunton family. 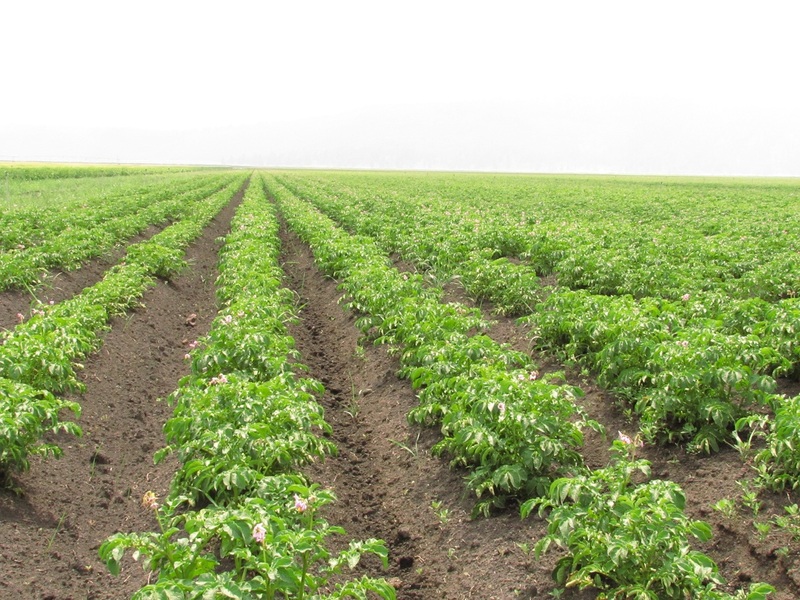 Both fields featured Lamoka potatoes, a variety, as Bill explained, is great for shipping and storage as well as for frying. The samples brought in from both fields showcased beautiful chippers, and, if the weather holds, will be dug in 30 days. Matt, those are some good looking chipping potatoes! Mark, you also have some good-looking potatoes! 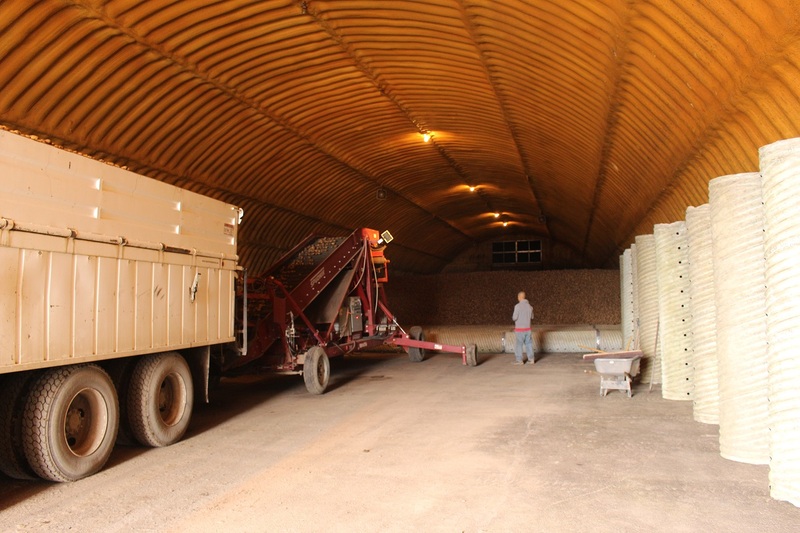 Following the fields visits, the group went to Gold Dust’s packing shed to see sample digs of all varieties, take a shed tour and see the latest piece of equipment from Mayo Mfg. As is tradition, in the shed each potato variety grown by Walker Brothers was laid on the floor in a triangle to show how each progressed throughout the growing season. On a table were samples of potatoes as well as how they fried up – including the famed Lamoka variety. Once the shed tour was complete and everyone was done checking out the Harriston Dirt Eliminator and Sizer, our guests hopped back into their cars and pickups to swing by a new farm Walker Brothers started farming on the way to Running Y. Yes – that’s a new toy for the farm! At the Running Y, Bill and John along with agronomist Sachin Rawat showed off an organic chipping potato field. John discussed some of the differences in growing organic potatoes – including accepting weeds as a part of life – and remedies for other pests. 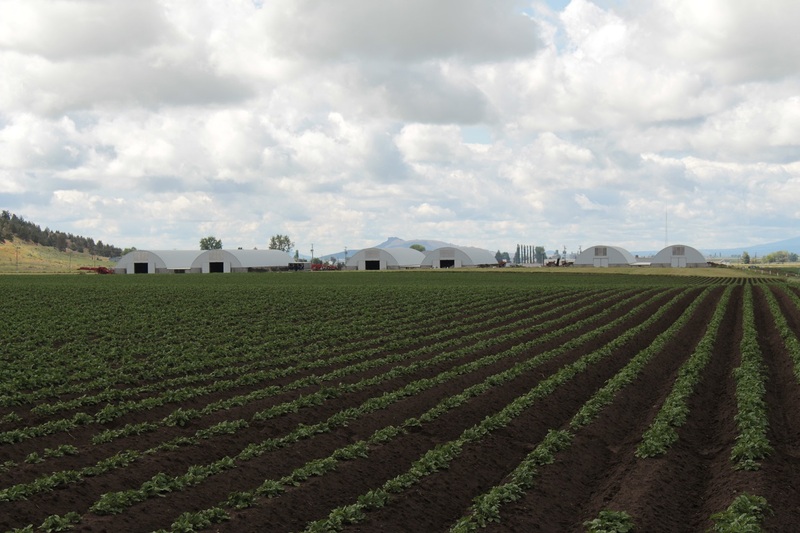 Bill also fielded questions about the long-term market prospects of organic potatoes, which, looking at the current focus on organic crops in the marketplace, appears to be something people will be looking for many years to come. Yep – that’s an organic corn field! After checking out an organic corn field being grown for silage for a local dairy, our guests enjoyed sandwiches in the shade of the trees at the Running Y Headquarters while a reporter from the Herald and News, Kevin Hume, interviewed Gold Dust’s partners and knowledgeable guests such as Duane “Sarge” Preston and Paul Sproule about the finer points of potato farming for his article “New potato variety highlight of field tour“. It wouldn’t be an Open House Field Day without the golf scramble, and this year was no different. 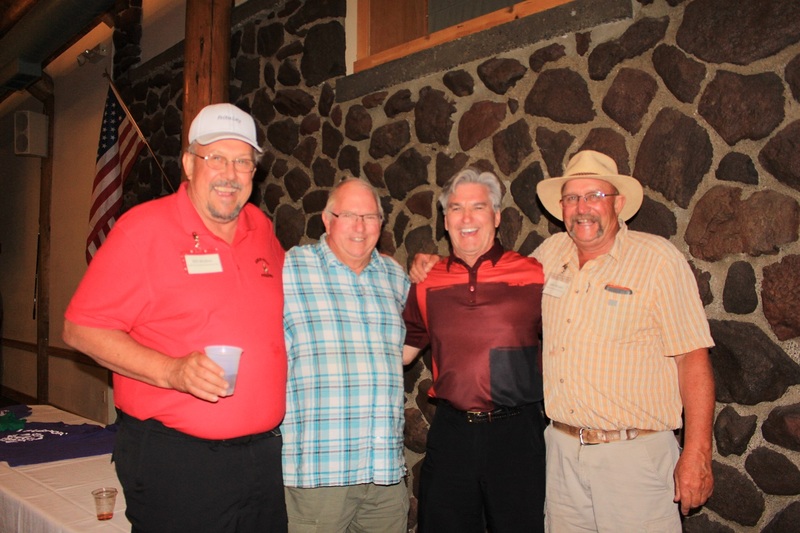 However, instead of hosting it the Running Y Resort as in the past, this year the golf tournament was held at Reame’s Golf & Country Club just outside of Klamath Falls. 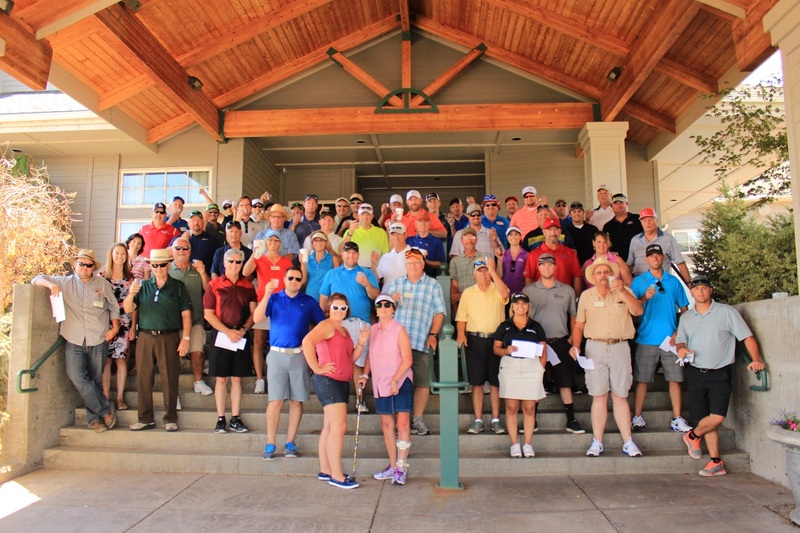 With a group photo and shots of Crown, our guests made their way to the course for a shotgun start to the tournament. Thirteen teams made up the field this year, and judging from the stories and the scores, it appeared everyone had a wonderful time. As our guests made their way from the golf course to Reames’ ballroom, dinner was served. With the option of steak and chicken as well as an open bar, the conversation was lively. And of course, this was when we had to give out the awards for the golf tournament! 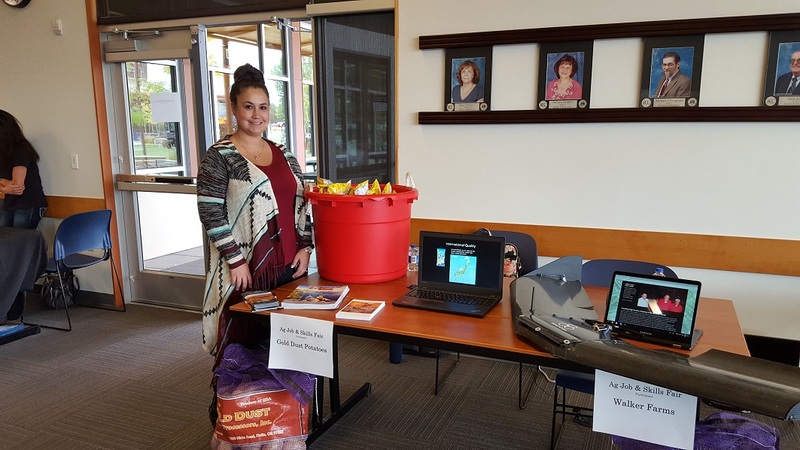 Another tradition that has been taking place since 2013 was the fundraising held for Make-A-Wish. 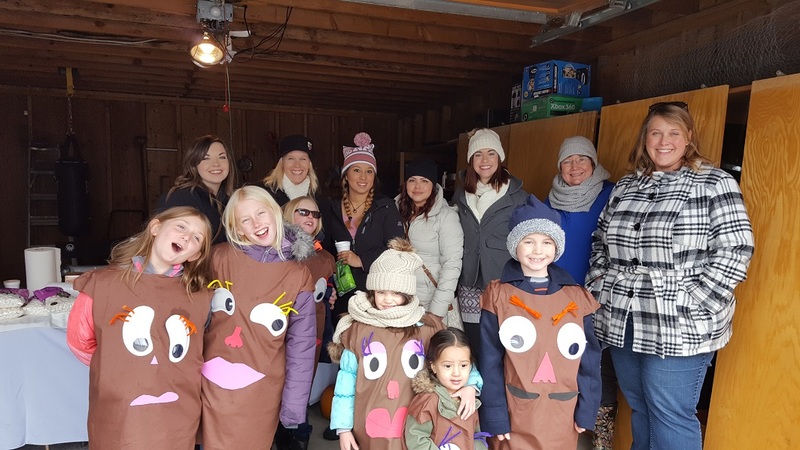 If you’ve visited this blog before, then you’re likely aware of Jan Walker and Katie Walker’s involvement in the local Make-A-Wish. For the last few years, there’s been a “Fireball Hole” dedicated to donations for Make-A-Wish, and at dinner Katie gives a presentation about some of the wishes that had been granted. Over the years our guests have generously opened their wallets and helped local kids get their wishes granted. Make-A-Wish recognized the generosity of Pape’ Machinery. Well done, fellas! All of those raised hands helped push this year’s giving to Make-A-Wish to over $20,000. Well done, folks! Back in 2013, we were thrilled that our guests along with Gold Dust raised $3,800. 2014 was even more exciting with $10,060 raised for area kids. 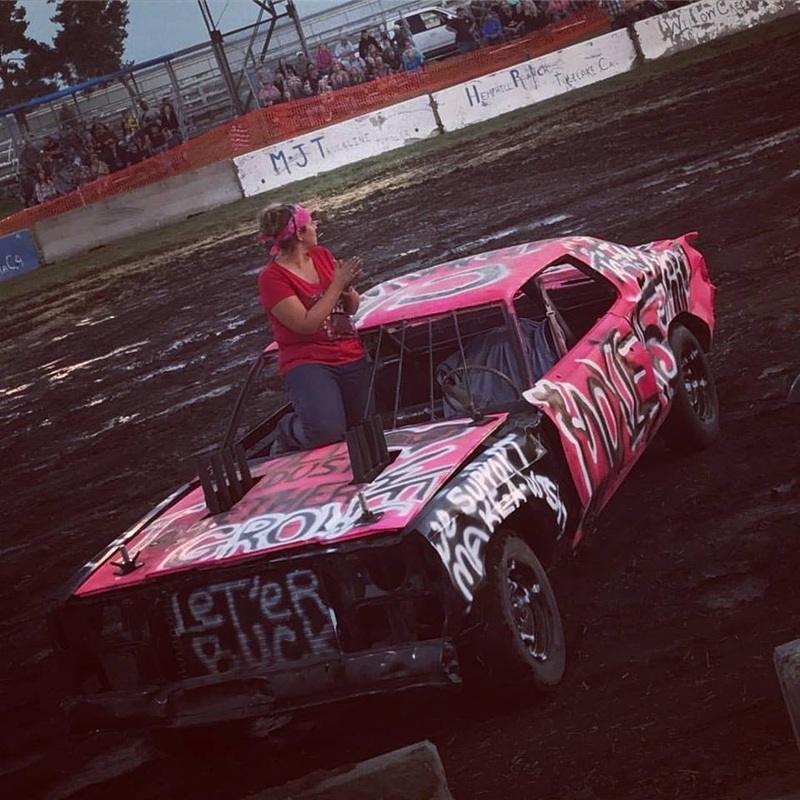 And we thought last year was even more incredible – $18,381 was raised between the Fireball Hole and the dinner presentation. However, this year we broke another fundraising record for Make-A-Wish. Between our guests and Gold Dust, $21,814 was pledged along with 150,000 airline miles! We cannot thank our guests enough for their generosity in helping an organization that has become very important to Gold Dust. Smile! You too, Mike Carpenter! Sarge, please say you’re coming back next year! While the evening was filled with laughter and happy conversation, one chapter came to a close. Duane “Sarge” Preston, mentor to the farm on all things potato, announced this was his last trip for the Open House Field Day. For nearly 20 years, Sarge has helped John, Weston and the farm crews get a better understanding of what it takes to grow a great potato. From looking at plants to getting rid of pests, Sarge and John spent a lot of time out in the fields, and through those years he developed friendships with the Walker family. We will all miss his visits, advice and warm personality at our annual event. We do hope he makes it west again for a few more rounds of Crown and laughs! Sarge, thank you for everything! Thank you to everyone who made our 2016 Open House Field Day memorable! We’d like to thank everyone who was able to make it to our annual Open House Field Day. It’s a long ways to travel for field tours and golf, but to all who make it out, thank you not only for coming, but for helping Walker Brothers and Gold Dust continue to grow and thrive. 2016 Winter Wings Festival to Visit The Running Y Ranch! If you’ve spent any time reading our blog or talking to our partners and employees, then you know how proud we are of the Running Y Ranch. Not only does that farm have amazing soil, terrific water rights and produce some of the best crops in the Basin, but the amount of wildlife around those fields is outstanding. Elk and deer graze our fields (and raid our hay sheds! ), raptors glide through the skies above the ranch while ducks, geese and swans stop by on their migrations along the Pacific Flyway. If you appreciate wildlife, then you can understand why we feel the Running Y is a more than just another farm to us. With that in mind, our CEO and partner, Bill, wanted to reach out to the Winter Wings Festival and offer our fields for tours in 2016. For those unfamiliar with the Winter Wings Festival, it’s a yearly event held by the Klamath Basin Audubon Society (KBAS) over President’s Day holiday weekend that brings birders from all over the world to the Basin to take birding tours, attend workshops about bird behavior and photography, and basically talk birds! Considering the tundra swan migration is happening that time of year, it’s a great opportunity to show people how agriculture and wildlife can co-exist. 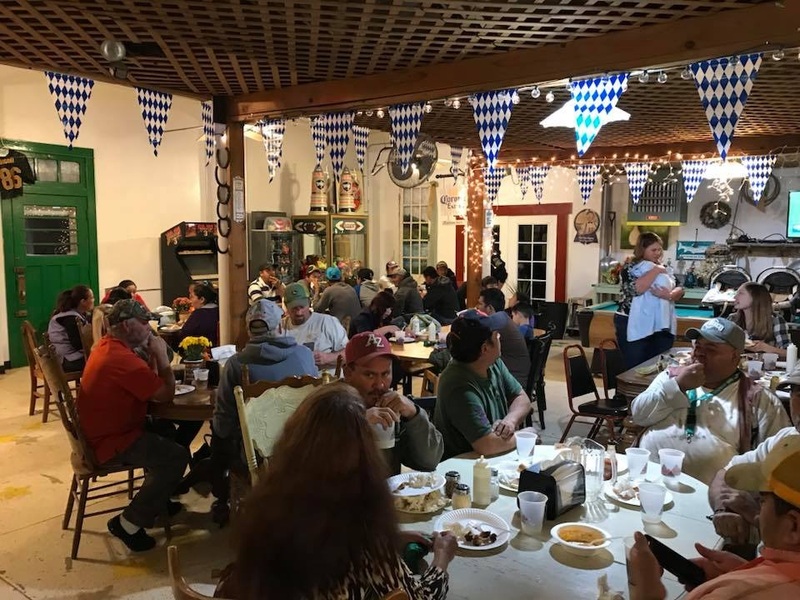 The offer was extended and Diana Samuels, one of the organizers for the Winter Wings Festival, suggested that in preparation for 2016 some members of the KBAS pay the Running Y Ranch a visit. On February 21st, Caleb Sundahl, Mihajlo Matic and Lexi Crawford met the local Audubon Society to take photos, watch birds, look at where to take their birders next year and talk logistics. Though there was less snow than we’d like for this time of year, it was a beautiful day to watch the swans, answer questions about our farming practices and make plans for next year. After KBAS’s visit with members of the Gold Dust crew, we’re looking forward to having the birders visit our fields for the 2016 Winter Wings Festival. 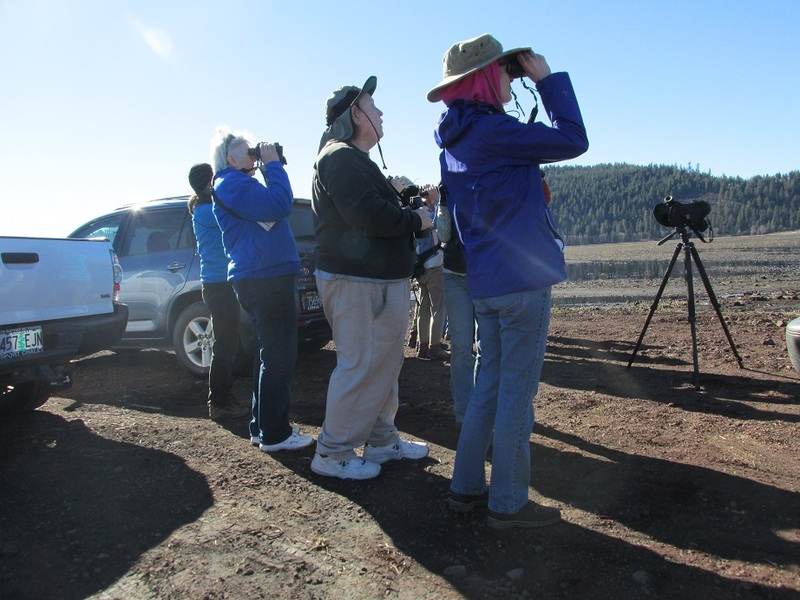 Thank you to the Klamath Basin Audubon Society for coming out and seeing what we can share with birders. We’re looking forward to their tour next year! It almost looks like Swan Lake out there! By the way, before we wrap this up, the photos for this post were taken by Lexi and Bart Crawford’s son, Walker. 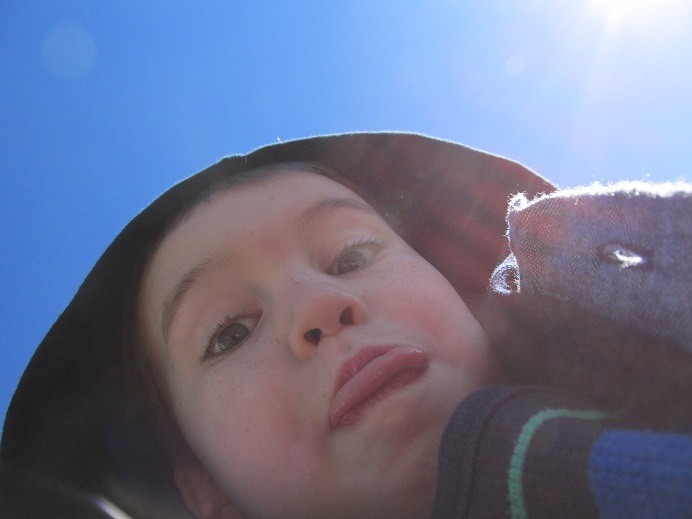 Thanks for the snaps, Walker! Thanks for the photos, Walker! Is It The Running Y Ranch Or Running Y Lake? Lake front property or the entrance to a chipping potato field? Last fall doesn’t seem very far away. 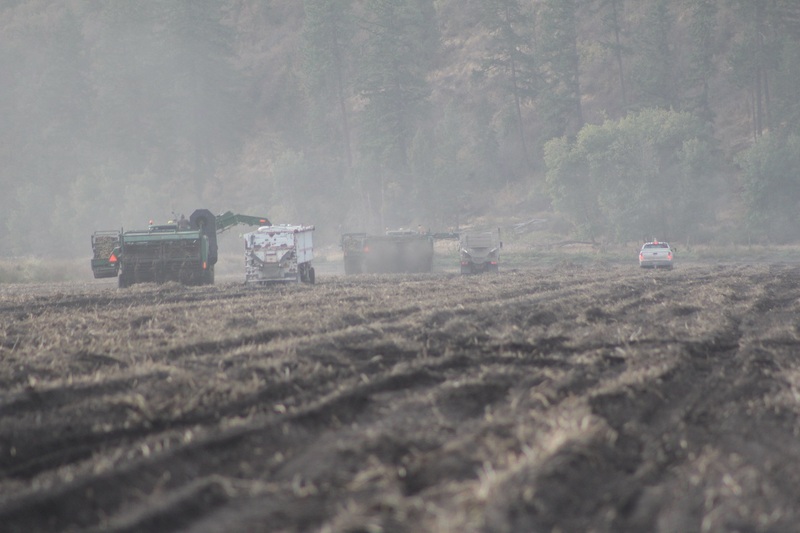 The fields at the Running Y Ranch were busy, full of equipment cutting hay and grain and getting the fields ready to dig potatoes. Before long bulkers were filling spud trucks, which headed to Malin to store the potatoes for shipping season. 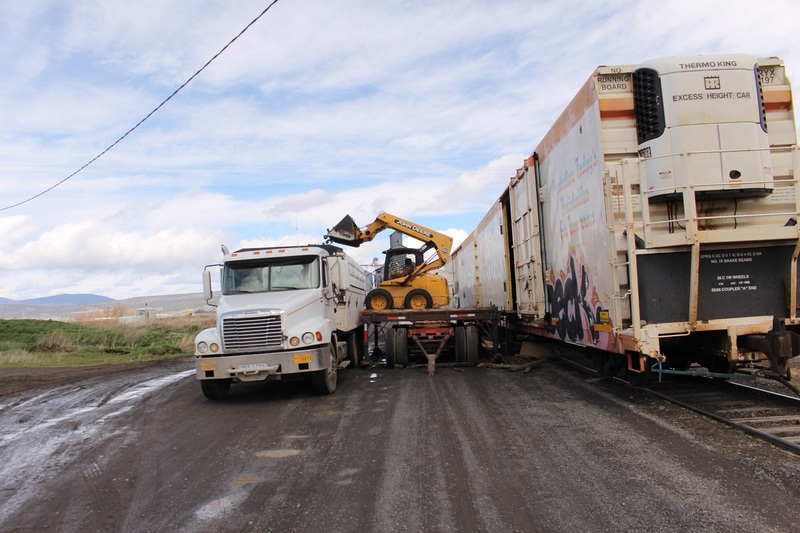 Occasionally, the ground would seem to open up to swallow a truck. 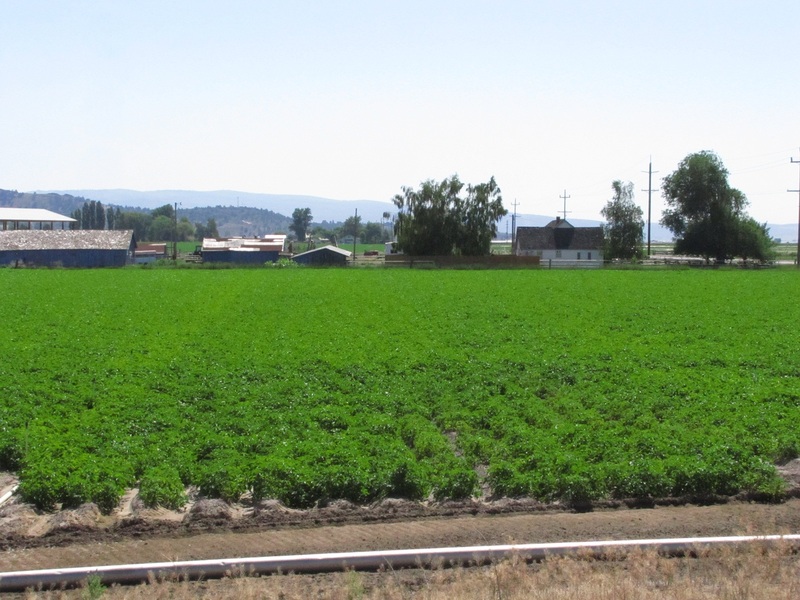 When that happened, you remembered these fields were once part of Klamath Lake. We were recently reminded of that again. 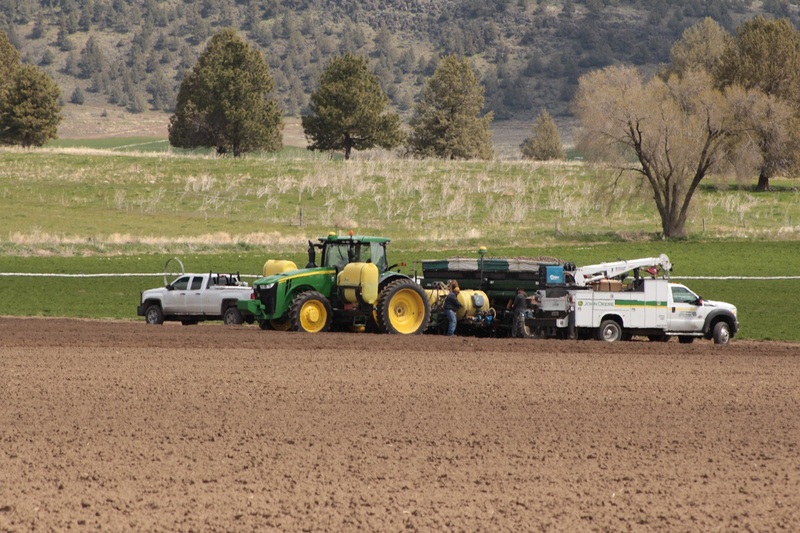 On February 16th, Tricia called to say the fields were so full of water from much needed rain and snow that you couldn’t see where one field ended and another began. Not only that, swans, snow geese and Canada geese had flocked to the fields, and in some places there were so many of the white birds it looked like the snow had returned. By the time we made it to the Running Y Ranch the next day, some of the flooding had subsided and the massive flocks had moved on. But what was left was still amazing. If it weren’t for the built up roads that ran along the edges, the fields would have appeared to be one contiguous lake. With swans and a few Canada geese swimming through the wheat and potato fields of last year, you could almost see how this area was once a seasonal part of Klamath Lake. And you could also see how these fields became so fertile. 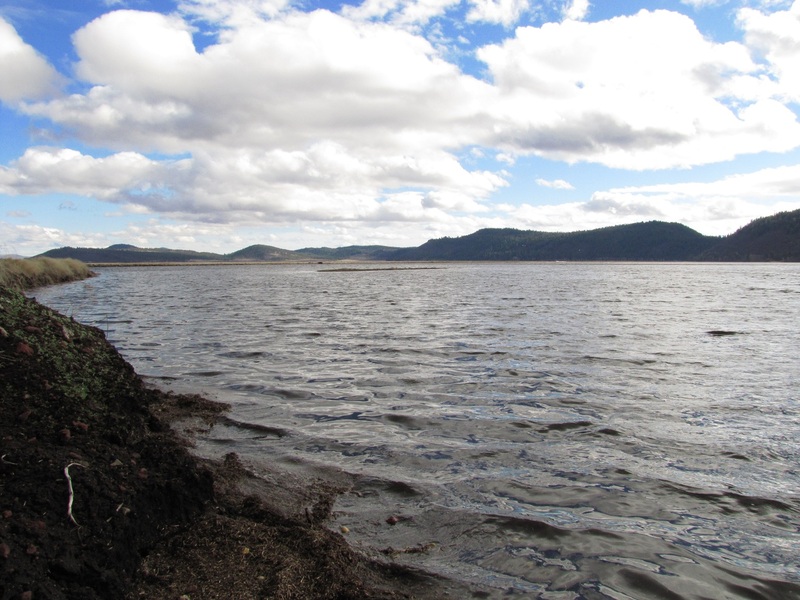 Moments like these remind us how lucky we are to live in the Klamath Basin. Yes, there’s still a drought and we’re all praying for more snow to fall in the mountains and rain to fill our lakes and reservoirs. But watching geese swim in these flooded fields and swans pick through the leavings of last year’s grain harvest help give us a moment’s respite of today’s worries and remind us of the power and majesty of Mother Nature. We hope you enjoy the photos below, and if you’d like to see any of them enlarged, just click on the picture and a gallery will appear. And let’s all hope for more water! Looks a little wet, eh? A few Canada geese were on hand too! Almost looks like a proper lake! Looks like a few birds want to dry out! Hard to believe this was a spud field! You could almost use a canoe to get to the headquarters! This could almost be an extension of Lakeshore Drive! Check out the purple blossoms on our organic potatoes! If you’ve been to the grocery store lately, you’ve probably noticed the organic produce section has steadily been increasing its territory. Consumers are becoming more concerned about what they eat, and more and more they’re dropping organic items in their grocery carts. 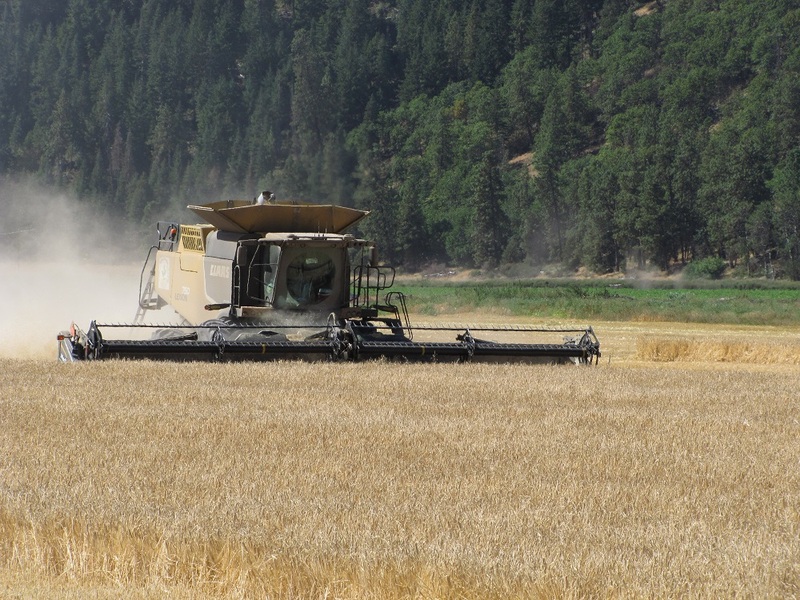 As farmers, we’ve noticed this trend for years, hence adding organic hay and grain fields to our crop portfolios. However, we’ve never tried our hand at organic potatoes. This year we planted our first organic potato fields. If you’ve checked out our site or read our blog, you know that we’ve been growing organic grain and alfalfa for some time now. It takes years of planning to get fields ready for organic crops, making it an investment in time as much as it is money. While we’ve had success with our organic crops, we’ve never tried our hand at organic potatoes. 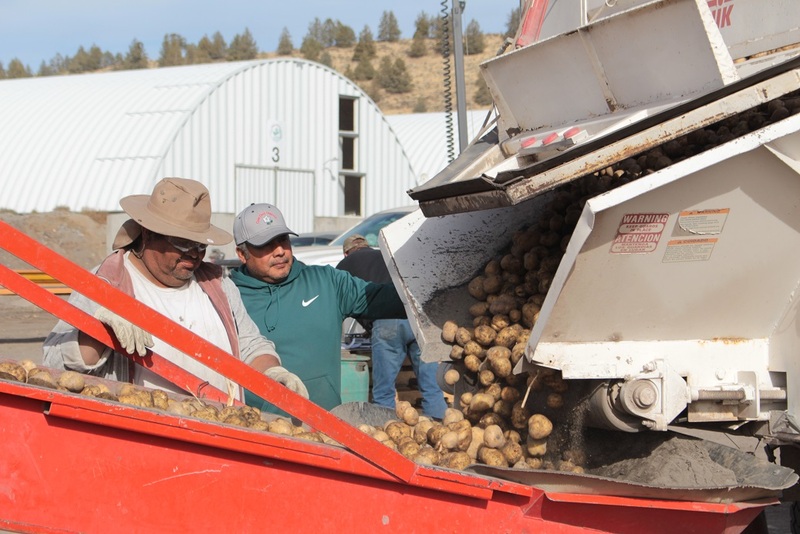 But this year, down on the Running Y, we’ve planted two different organic potato crops – one red (Modoc) and one yellow (Yukon Gold). You may have noticed something; neither of those varieties are chipping potatoes. 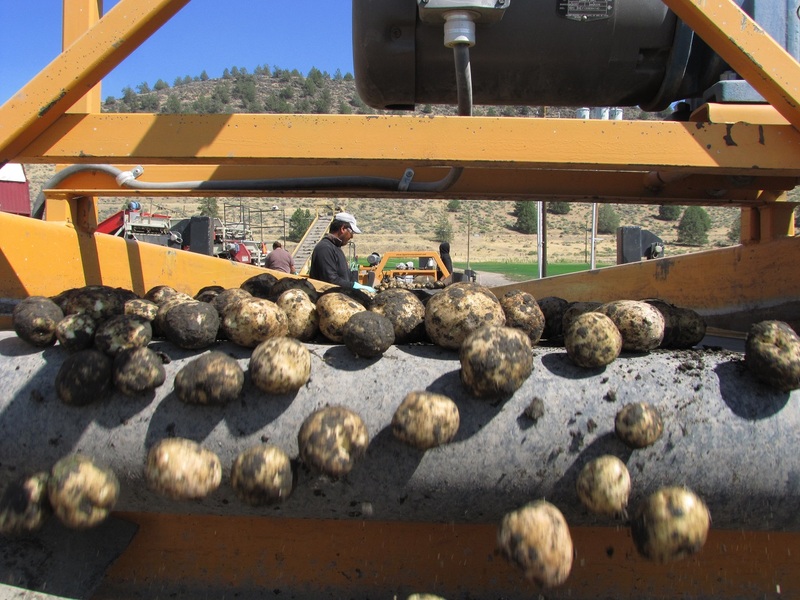 Why not organic chipping potatoes? One reason is the current marketplace isn’t asking for them. Most organic potato chips use non-chipping varieties, such as Russets. With little want for organic chipping potatoes, and chipping potatoes being rather delicate, at this time we’re not growing any. 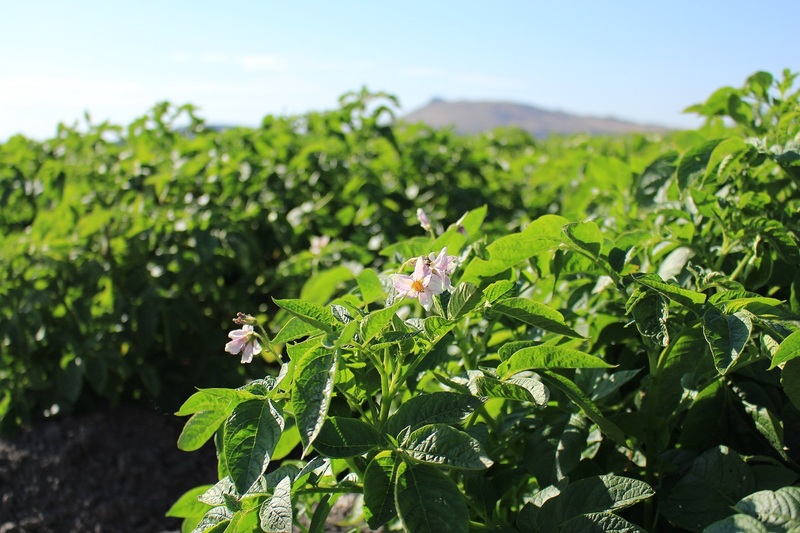 But you can bet if we have successful organic potato crops this year, you may find more of our potatoes in the organic section of grocery stores and in your favorite restaurants in coming years!